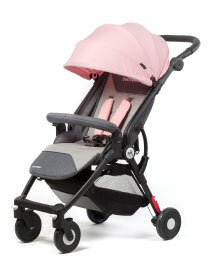 Bebé Due is helping parents from baby's first outing. Maximum safety, easy to manoeuvre, ergonomic for both baby and parents - these are just some of the advantages of the Bebé Due pushchair. To meet the needs of today's parents, all the pushchairs are easy to fold, and fit easily in your car boot or under the stairs. Bebé Due wants to make life easier for parents, so they can just focus on their baby. For all baby products, safety must be guaranteed. That's why all Bebé Due pushchairs are certified to the current EN1888 standard. 1. To ensure good posture and protect your baby's back, all the seats have a reinforced base, so there's no "give". 2. The harness is anchored at 5 points and adjusts for growth, ensuring it will fit your baby throughout the pushchair's recommended age range. 3. We know that a baby can fall asleep at any time during a walk, so all the seat backs recline. 4. All seats are double padded so your baby's always comfortable, and the chest pads are soft, so they won't rub baby's delicate skin. 5. Adjustable footrest allows for growth and ensures comfort in any position. Our designers in Barcelona know how much direct sunlight can disturb the little one. That's why we believe that all our push chairs must come with a canopy. For a smooth ride, whether in the countryside or the city, all our pushchairs have shock absorbers to suit each chair's own weight distribution. · All the chairs have removable, washable covers. · Your car's boot can only take so much. 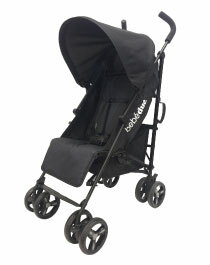 We know how important it is that the pushchair folds small to take up as little space as possible. That's why folding our pushchairs is easy, convenient and intuitive, and - above all - they're compact. · There's a convenient basket which can hold at least 2kg, for carrying the shopping, toys to the park or whatever may be needed during the daily walk. · Safety lock, so it won't come open while being carried. · Easy to carry when closed. · Centralised braking operated by one foot.